Enable SIP or H.323 room systems to communicate with desktop, tablet, mobile devices, Zoom Rooms, and other SIP or H.323 endpoints. Get the overview status and management of deployed conference rooms in a single admin console. Deliver a simplified workflow for your Polycom or Cisco room system with one touch to start or join your Zoom meeting. Dual-screen support for 1080p content and video streams. Communicate with existing SIP or H.323 endpoints including Polycom and Cisco. 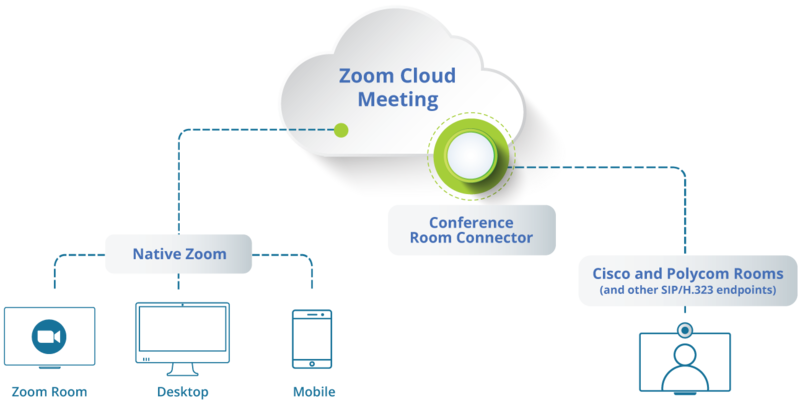 As part of Zoom Conference Room Solutions, take advantage of the following offerings.